Recovery – more than a return of movement. “Recovery” following injuries to the spinal cord can mean so much more than the return of active, voluntary movement. Because a spinal cord injury damages more than the systems that control movement, recovery should involve multiple systems. 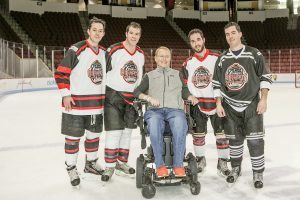 Researchers throughout the country and the world are focusing on several significant regions of the body to measure improvements in function following specific therapies, including spinal cord stimulation. The autonomic nervous system (ANS) is a major system in the body whose functions include regulating involuntary, reflexive activities of the cardiovascular system (including blood pressure and heart rate), bowel and bladder function, sexual function, and temperature regulation (including sweating and shivering). Disruption of the components of the ANS occur with spinal cord injuries and create dysfunction in the ability to regulate these body functions and can lead to dangerous, even life threatening risks to people with spinal cord injuries. 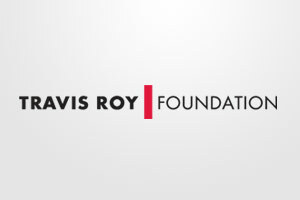 The Travis Roy Foundation, through the generous support of donors, is supporting research laboratories investigating the changes in the ANS following damage to the spinal cord and the improvements seen with specific interventions. We are eagerly watching for evidence based reports that demonstrate improvements in the systems that will lead to more independence and an improved quality of life for those living with spinal cord injuries.